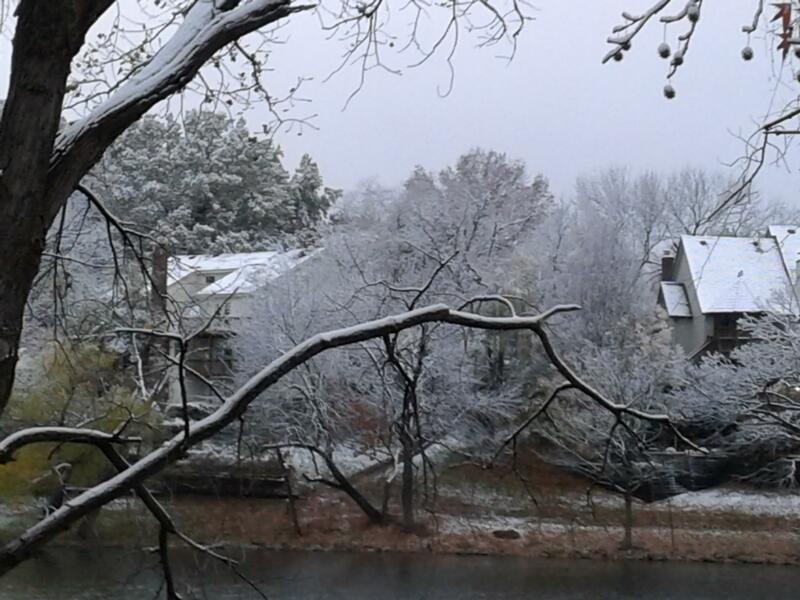 The calendar may indicate it’s still fall, but the cold temperatures and fresh snowfall covering the ground across the Kansas City metro tells us Old Man Winter has decided to arrive early. While it may be all fun and games for children who dream of seeing snowfall and building their very own Frosty before Christmas, for businesses, winter can brings its own unique set of challenges. Whether it’s employee illnesses (hello, flu season) and injuries, property damage from ice storms, or even business closures due to driving conditions and extreme temperatures, the effects of cold temperatures and winter storms are a main cause for interruption of business functions for organizations both large and small. Winter Storm Watch — Be alert, a storm is likely. Winter Storm Warning — Take action, the storm is in, or entering the area. Blizzard Warning — A combination of snow and strong winds will produce blinding snow, near zero visibility, deep drifts and life-threatening wind chill — seek refuge immediately! Winter Weather Advisory — Winter weather conditions are expected to cause significant inconveniences and may be hazardous, especially to motorists. Frost/Freeze Warning — Below freezing temperatures are expected and may cause damage to plants, crops or fruit tree. Drain water from systems not needed during the winter months, including landscape sprinkler systems and any hoses attached to outdoor faucets. Have an expert inspect your business’ roof and ensure gutters and drains are clear and draining away from outdoor walkways where water could freeze, causing slips and falls for employees or clients entering or leaving the building. Have the building’s heating system inspected. Is there a backup generator in case of a power outage? 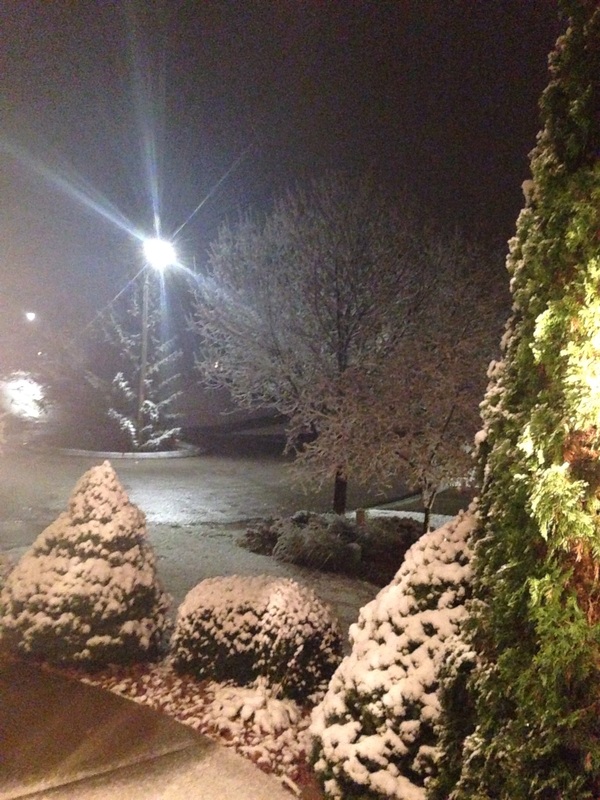 Hire a reputable snow removal company in advance. Do not wait until after the storm has impacted the area. Keep sand, ice melt and shovels on hand to tend to areas not covered by the snow removal company or to use as needed. Develop a business continuity plan. If a loss of heat occurs, pipes freeze or the workplace becomes inaccessible due to winter weather conditions, what would happen? Who would be in charge of notifying the team? How will they be notified? What would the work expectations look like on those days? The National Weather Service has issued a Blizzard Warning, now what? Communicate with your team about the coming storm and what the risks are. Does it make sense to plan to report to work a few hours late? Will team members be expected to work from home the entire duration of the work day? What if your business sells products or provides services necessary in the event of severe weather? What are attendance requirements for these times? Check out these great tips for notifying workers of a workplace closure. Re-share your business’ continuity plan. When can they expect to receive further communication and from whom? How will employee pay be calculated? If they arrive to work and only complete two hours before being sent home due to an approaching winter storm, are they paid the full work day? Be sure to check state laws to ensure compliance. How the worker is paid is mostly dependent on whether he or she is classified as exempt or non-exempt. Can employees use PTO (paid time off)? All of these questions and concerns should be addressed in advance with information re-circulated at the time of the weather event. Employee safety should be your top concern. Educate your workers. Emphasize the risks the storm presents and the importance of having three days worth of supplies at their home in the event of no power, water or heat. The storm has passed and to minimize losses associated with winter weather business closures, resuming normal operations as quickly - and safely - as possible is a must. 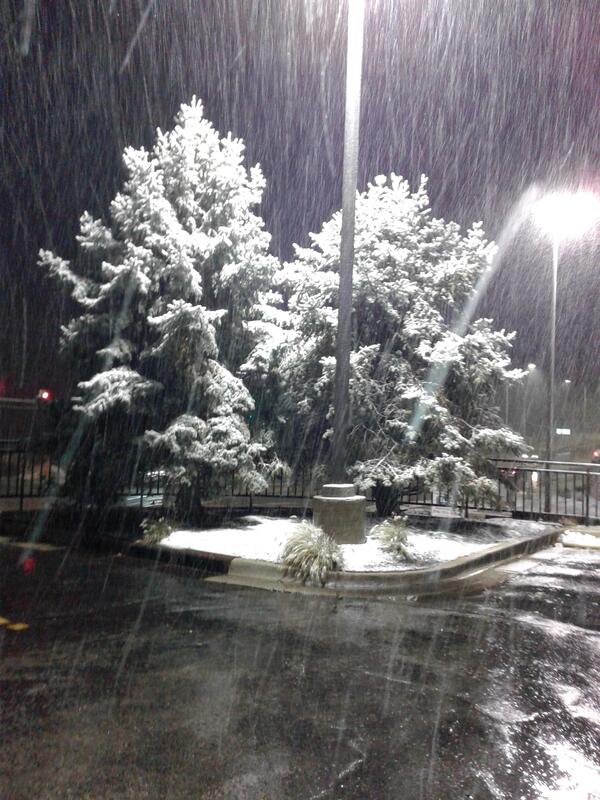 Confirm snow has been removed and walkways are clear and risk free before employees report back to the workplace. Has power been restored? What about the building’s heat? It is your responsibility as an employer to ensure proper working conditions. Under the Occupational Safety and Health Act (OSH Act) employers have a duty to provide their employees with a work environment free of recognized hazards likely to cause serious physical harm or death. This includes winter weather conditions. Contact your insurance agent as soon as the loss occurs. Be thorough in explaining and showing the damage to the claims adjustor. Keep copies of all receipts and invoices for emergency and temporary repairs for the insurance company. If business resumes as usual, but an employee can’t make it due to risky driving conditions, continued power outages or other storm-related issues, what is your organization’s policy? Keep in mind, in most cases of severe winter weather, schools, daycares or in-home nursing services for those with medical conditions or the elderly are also closed. This may further impact your employees’ ability to report to work. 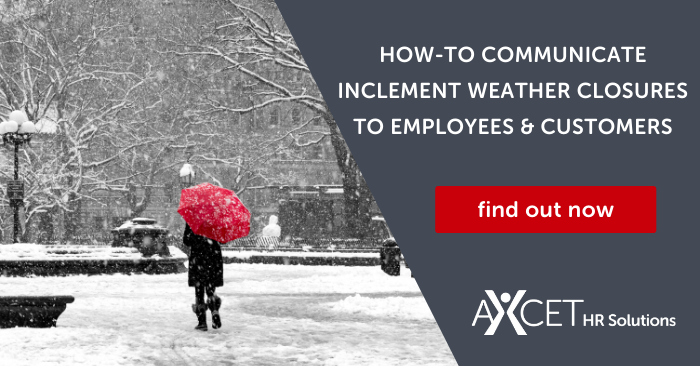 Your organizations expectations should be clearly detailed in an inclement weather policy included in your employee handbook. Be sure to cover everything from when and how notice is received to details surround pay and what is an excused absence. 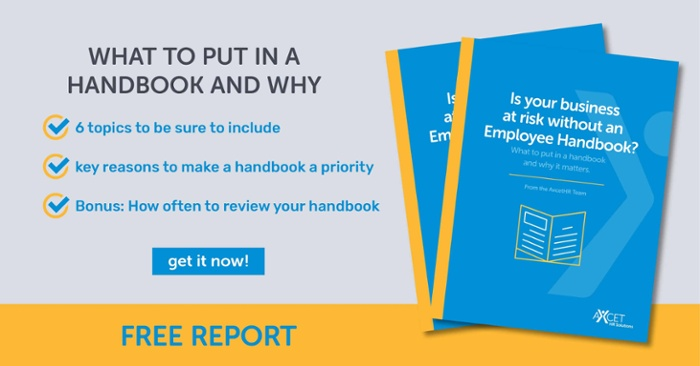 An employee handbook is a business owner's best friend when it comes to employee relations. Find out the ins and outs of this valuable resource in our free report.